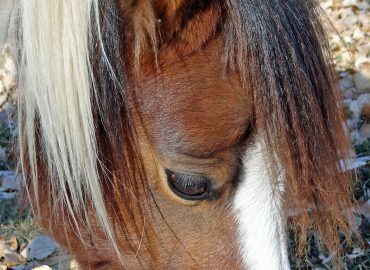 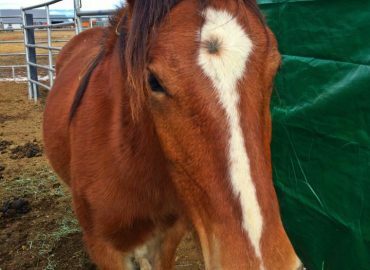 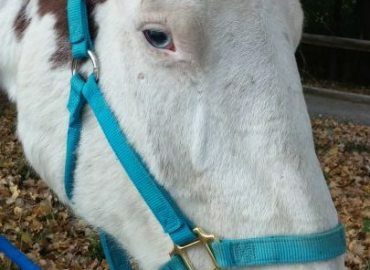 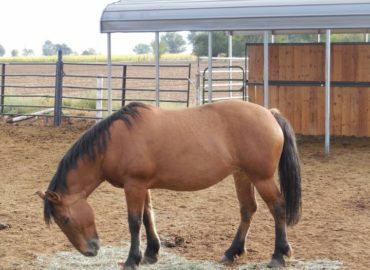 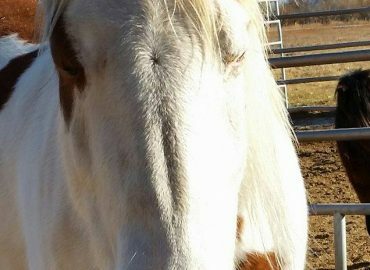 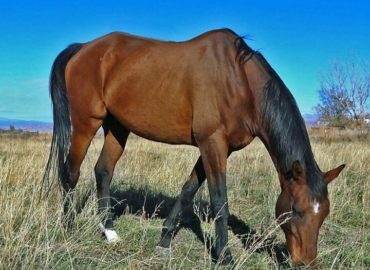 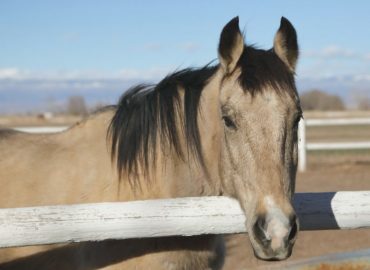 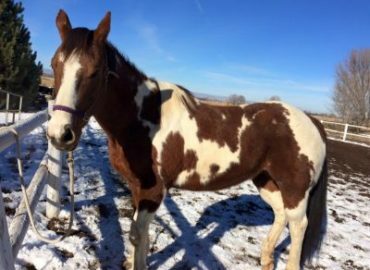 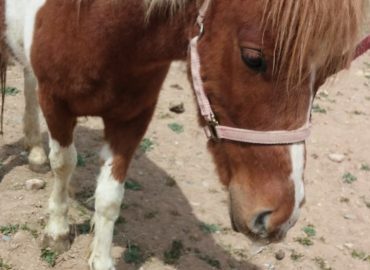 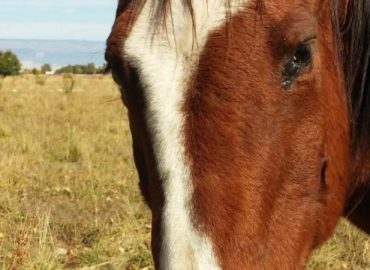 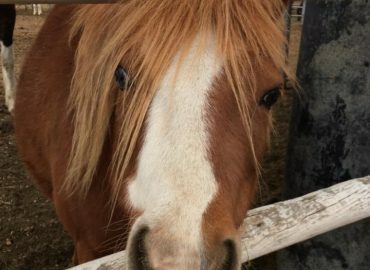 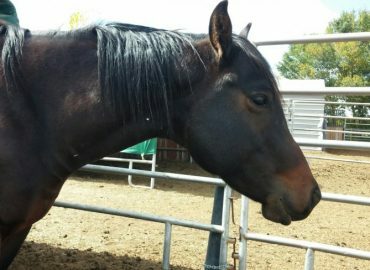 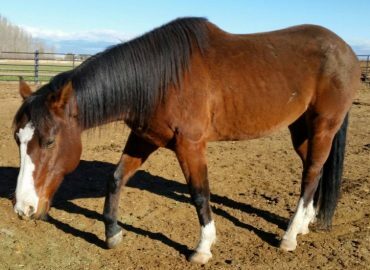 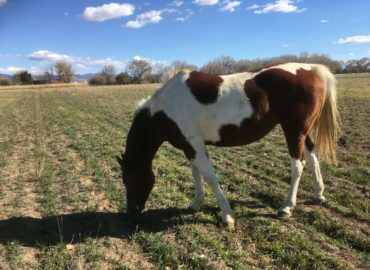 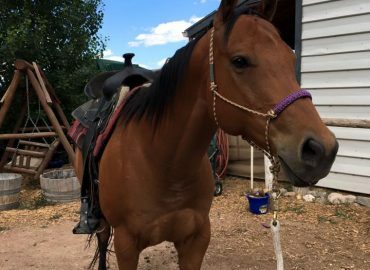 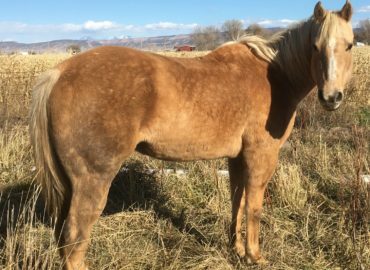 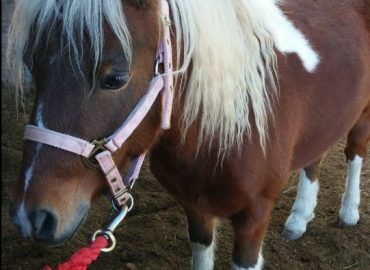 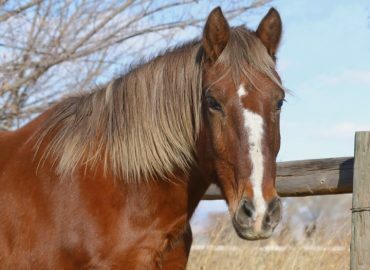 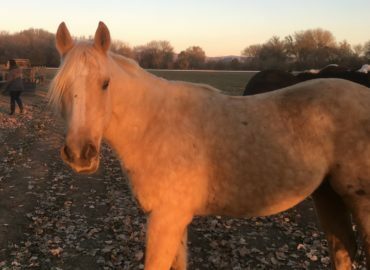 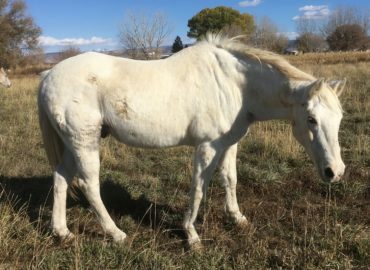 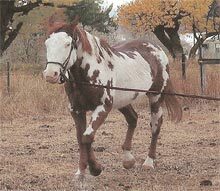 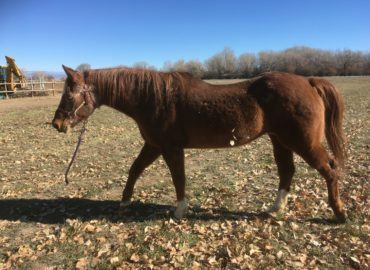 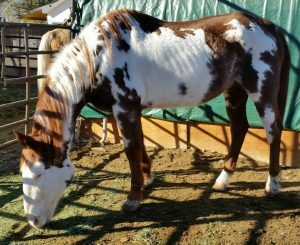 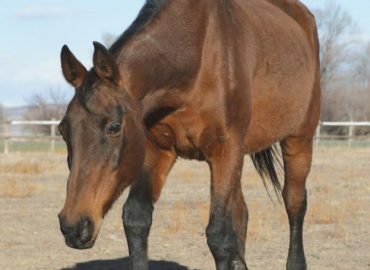 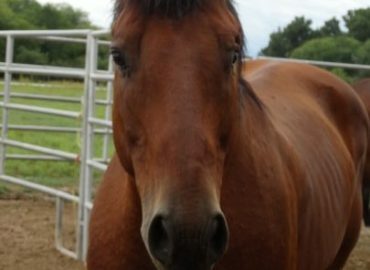 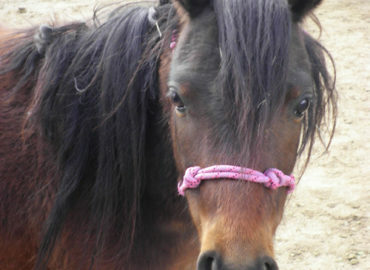 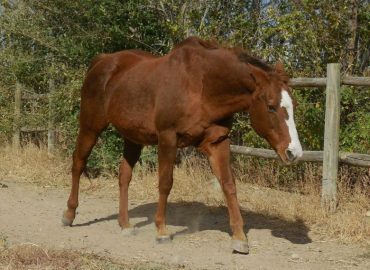 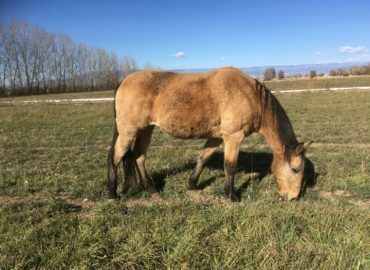 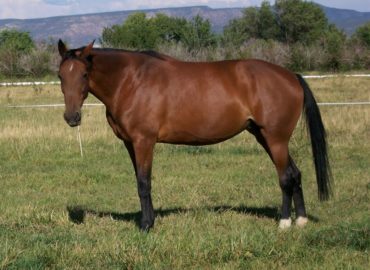 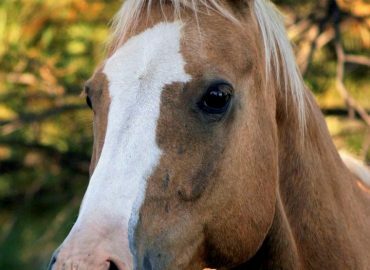 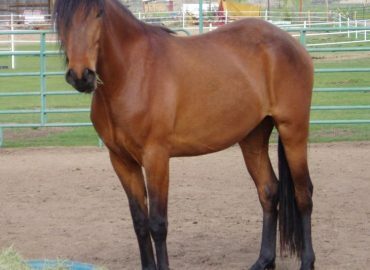 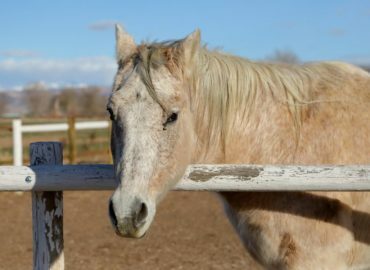 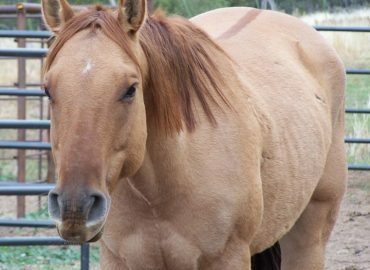 Stinger is a beautiful paint gelding with piercing blue eyes. 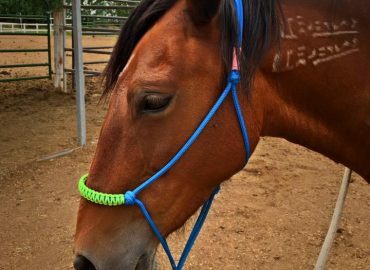 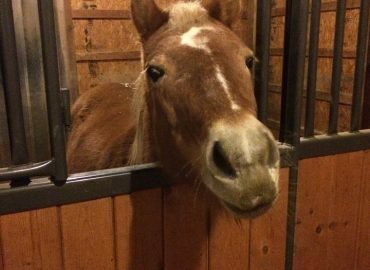 He has a long history of show rings and lessons rings and has now added the Therapy Ring to his list. 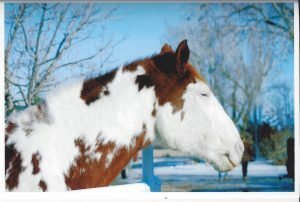 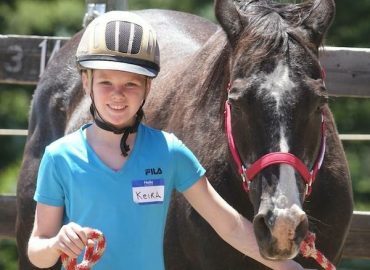 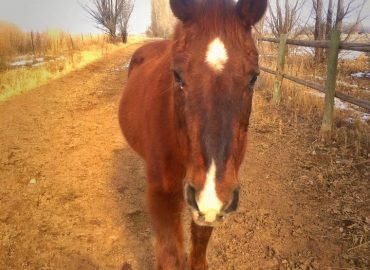 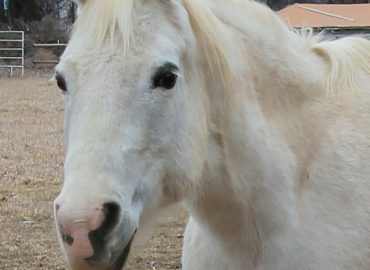 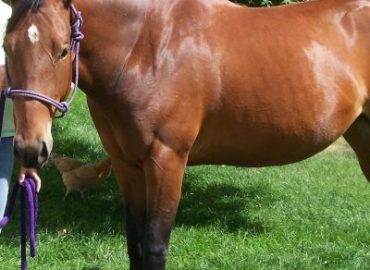 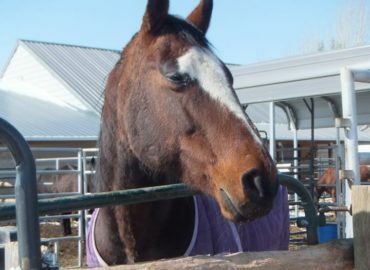 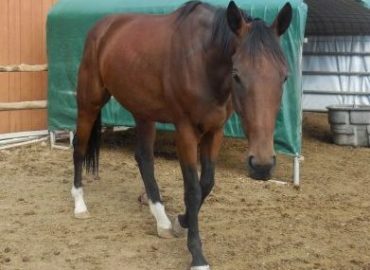 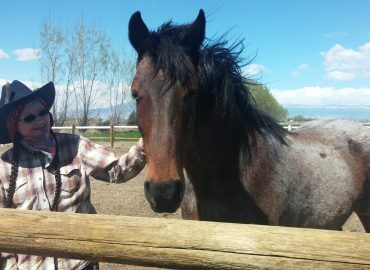 He is great with young/light riders and is currently being used in our Mental Health and Therapeutic Riding Programs. 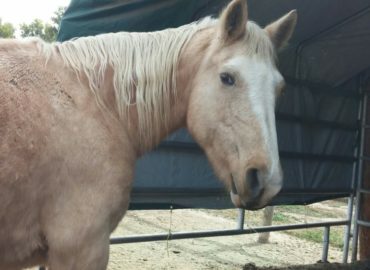 Stinger has practically no teeth and requires soaked food 2-3 times a day to maintain a health weight. 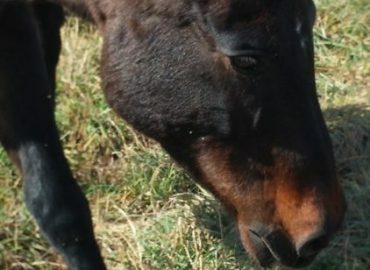 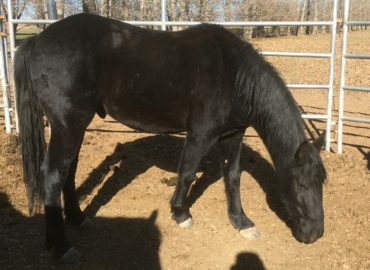 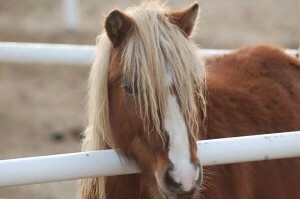 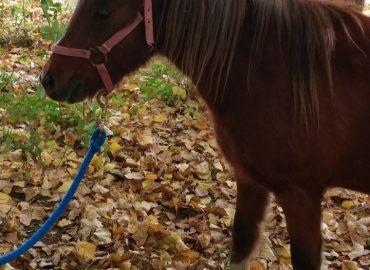 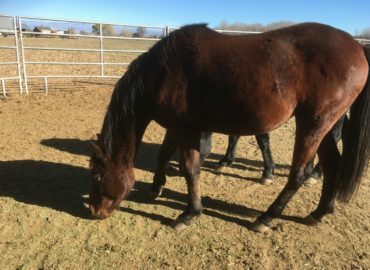 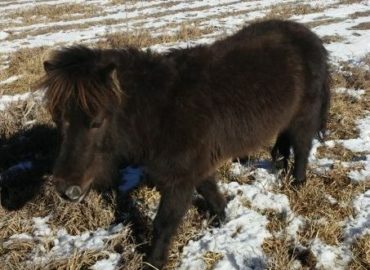 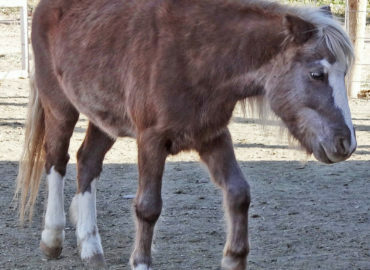 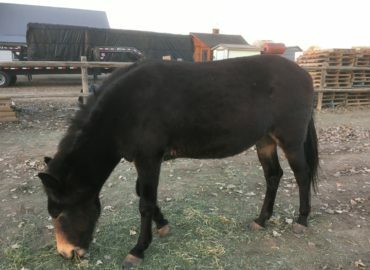 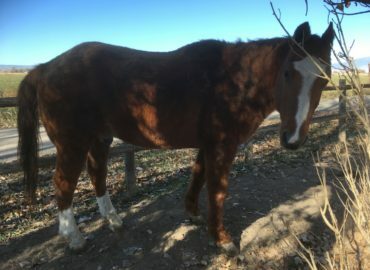 He is also in the bad habit of cribbing/wind sucking but our staff is working to help him release enough tension that he will no long need to do so.